Protesters gather at a demonstration against recent attacks on Christians near Mosul, 360 kilometers (225 miles) northwest of Baghdad, Iraq, Sunday, Feb. 28, 2010. (AP Photo) (Sorry I couldn't find out more about this particular demonstration. Only a smaller demonstration in Baghdad got coverage in English. Car bomb attack on a campaign convoy of Ashur al-Karbouli, a candidate on the al-Iraqiya list, kills 2 and injures 3. 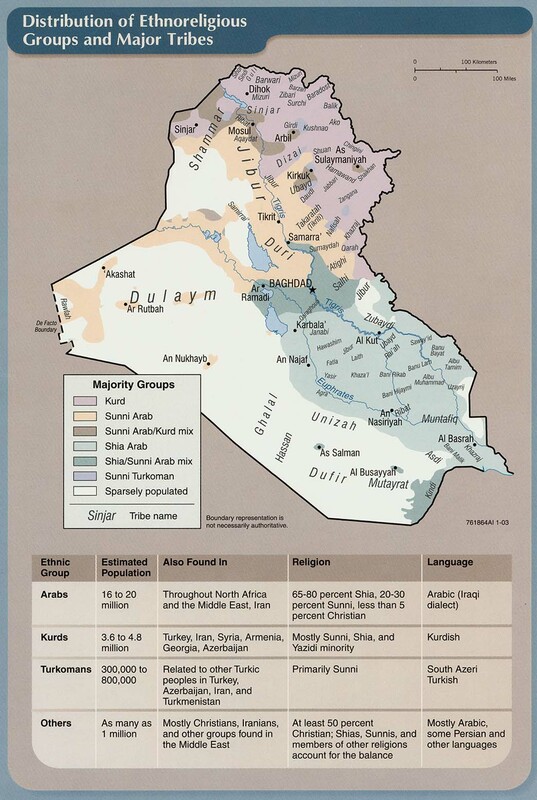 Iraqiya is the secular party headed by former PM Iyad Allawi. Karbouli was not present. IED in a liquor store injures 1 person, causes damage to the business and ones nearby. Sticky bomb injures four in Shula district late Saturday. Police find the body of a man wearing a "Kurdish uniform," dead of gunshots to the head. Christians demonstrate in Ferdus Square in Baghdad to protest the continuing murders of Christians in Mosul. Jack Kimball of Reuters says Kurds will hold the balance of power in Parliament after the election. 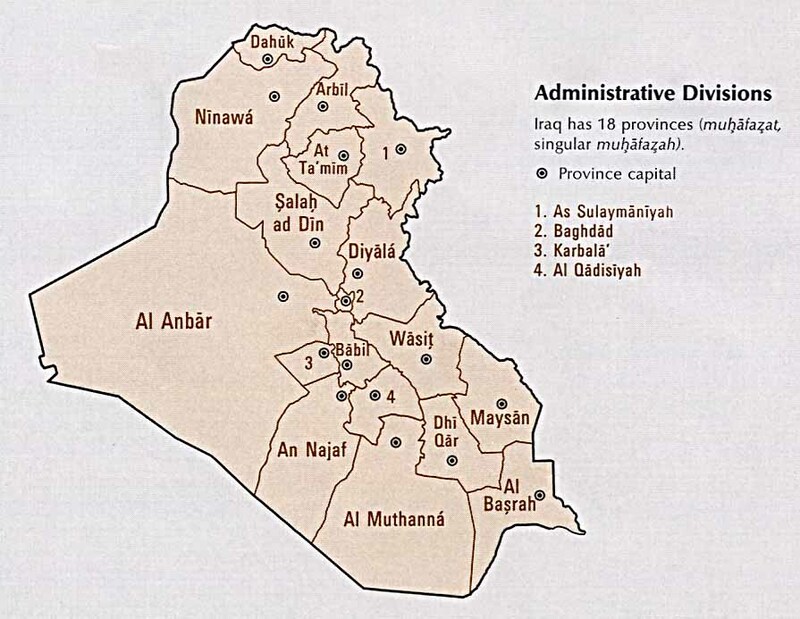 His analysis underlines the inherent instability of Iraq's factional politics. 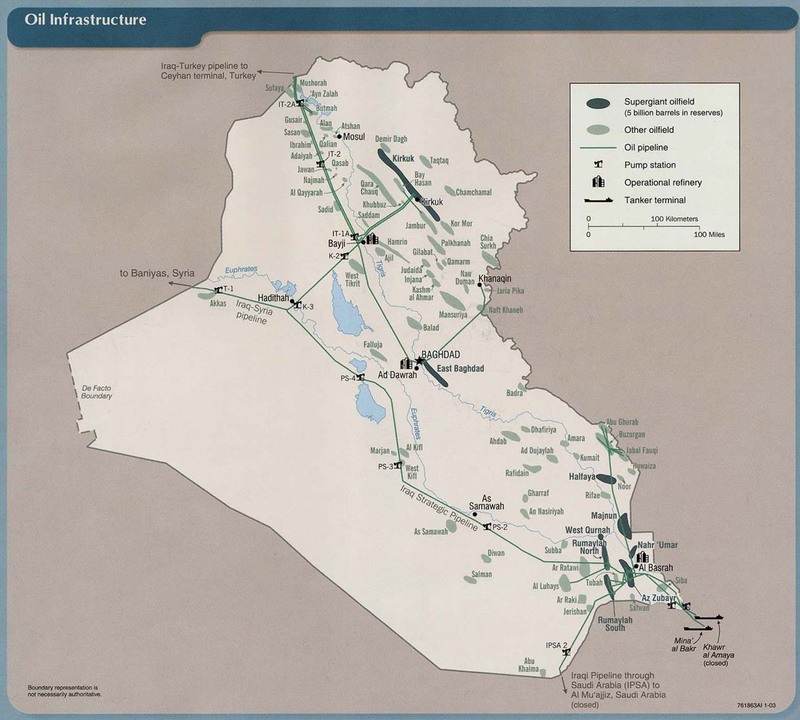 Kimball and Muhanad Mohammed also discuss the state of development of the Iraqi army. Not good: "Iraq's armed forces will not finish a modernisation programme until 2020, several years after the withdrawal of U.S. troops from the country is completed, the defence minister said." The world's tiniest violin plays for Tony Blair, who was so depressed by the debacle of the Iraq war that he wanted to resign. "Mr Blair confided to friends he ''spaced out'' several times during his weekly session of parliamentary questions, according to the latest serialised extract from The End of the Party, by political journalist Andrew Rawnsley." Awwwww. Bomb kills 11 civilians on a bus in Helmand. Five killed, 2 injured in a home invasion in Kabul. Not clear if the crime was politically motivated. ISAF member killed by small arms fire in Western Afghanistan. No further details, including the individual's nationality, are available at this time. Magnitude 5.7 earthquake in the Hindu Kush. No reports of significant damage at this time. Senior police officials resign following Friday's deadly assault on Indian nationals in Kabul. There is a fairly good chance that a good number of the [perpetrators of the Friday attack on Indians] had taken an amount of money to participate because they were tired of watching their families starve. . . . There may have been some hard-core jihadists from the Arab, Al Qaeda side, but for the most part, as former commander of US forces in Afghanistan, General Karl Eikenberry (now ambassador, who opposed the surge,) told Congress: "Much of the enemy force is drawn from the ranks of unemployed men looking for wages to support their families" Unemployment is 40 percent, and starvation is of the literal, ribcage showing kind. This war is pointless, futile, and unnecessary. For what we spend in 2 months on military hardware and jet fuel contracts, we have done the math, you could take every one of these desperate, unemployed men and put them to work for a year. The DoD is reporting the death of a soldier at Landstuhl Regional Medical Center, Germany on Thursday, February 25th. Sgt. William C. Spencer was wounded in in undisclosed injury while supporting combat operations at Combat Outpost Marez, Ninawa province, Iraq on Saturday, February 20th. #1: Unidentified gunmen shot dead the imam (prayer leader) and preacher of a mosque in al-Jihad neighborhood, southern Baghad, on Friday, eyewitnesses from the area said. “Unidentified gunmen in a vehicle opened drive-by fire at Sheikh Mahmoud Jassem al-Samarraie, the imam and preacher of the Abu Bakr al-Siddiq mosque, killing him instantly,” an eyewitness told Aswat al-Iraq news agency. #1: A suicide car bomber attacked a police station Saturday in northwestern Pakistan, killing four people and wounding about two dozen, underscoring the continuing security threat to the country despite army operations against militants. The blast on the police station in Karak in North West Frontier Province also toppled a mosque next door, said Ajmal Khan, a government official. Two police and two civilians were killed, and both police and civilians were among the wounded. #2: Meanwhile, a commander of the paramilitary Frontier Corps said it killed 25 militants near the northwestern district of Darra Adam Khel during a joint operation with police on Thursday and Friday in the area of Spina, after getting a tip that a group of militants was hiding there. One security force member was killed and five others were wounded in the fighting, Commander Safwat Ghayur said. #3: Also Saturday, at least one person died and several others were wounded when gunmen opened fire on a procession in the northwestern town of Dera Ismail Khan, said Dr. Qutbuddin Khan, who works at a local hospital. #4: Eight people, including three soldiers, were killed in a clash between security forces and Taliban militants in Afghanistan's northern Kunduz province, authorities said Saturday. 'Afghan forces backed by the NATO-led troops had killed five Taliban rebels and arrested seven others during a cleanup operation launched in Chardara district Thursday and concluded Friday,' provincial governor Mohammad Omar said. He said three Afghan security personnel were killed in the operation while the same number of NATO troopers and an Afghan soldier sustained injuries, according to Xinhua. The British MoD is reporting the death of a British ISAF soldier in from small arms fire near Sangin, Helmand province, Afghanistan on Thursday, February 25th. The British MoD is reporting the death of another British ISAF soldier from an "explosion" (IED?) near Check Point Shamal Storrei in the Nad 'Ali district, Helmand province, Afghanistan on Friday, February 26th. Germany votes to extend, boost Afghanistan mission: Germany's parliament voted Friday to raise its upper limit for troops in Afghanistan by 850 and extend the mission by one year. Germany currently has a maximum of 4,500 troops in the war-torn country, based mainly in the north. These will be joined by 500 regular troops and 350 reservists will be put on stand-by. #1: Two Army officers in Sadr City were killed in a separate incident at a checkpoint in the city. #2: A blast that took place on Thursday on the road near the Finance Ministry building in eastern Baghdad left four civilians wounded. “The blast occurred today (Feb. 25) afternoon,” a local security source told Aswat al-Iraq news agency. “Two civilian vehicles were destroyed in the powerful explosion,” he said, not giving further details. #3: One person was wounded when an unknown gunman threw a hand grenade on the Iraqi Communist Party’s headquarters in central Baghdad. 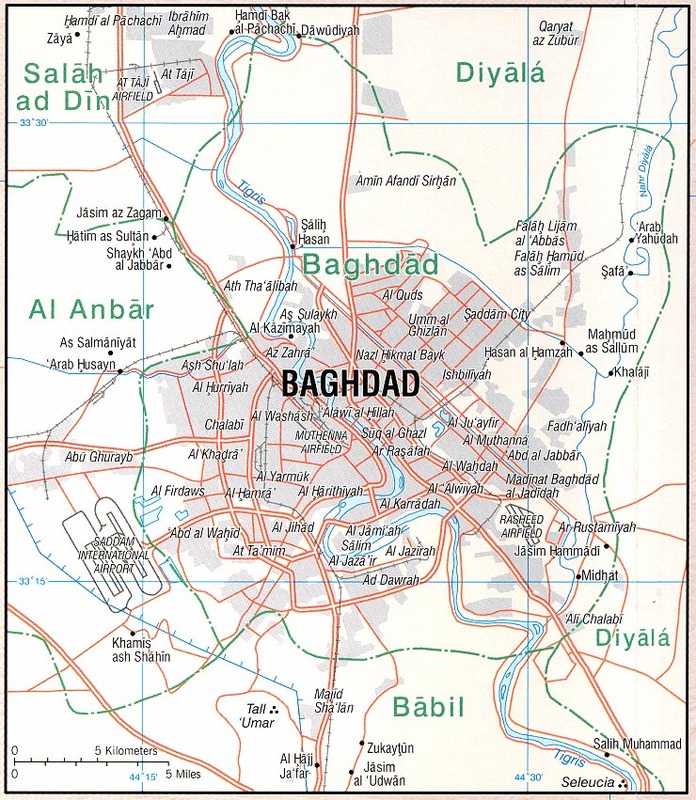 “An Unknown gunman threw a hand grenade on the headquarters of the Communist Party in Sahet al-Andalus in central Baghdad late Thursday (Feb. 25), injuring one of the guards, who was carried to Ibn al-Nafies hospital for treatment,” Aswat al-Iraq news agency’s correspondent said. #1: An improvised explosive device (IED) went off near a U.S. convoy east of al-Amara city on Thursday but left no casualties, a local security source in Missan said. “The charge went off near the U.S. convoy on the main street that links Amara to al-Kahlaa district, near the village of Ghaza, (10 km) east of Amara. The attack left no casualties but caused damage to one of the convoy’s Hummer vehicles,” the source told Aswat al-Iraq news agency. 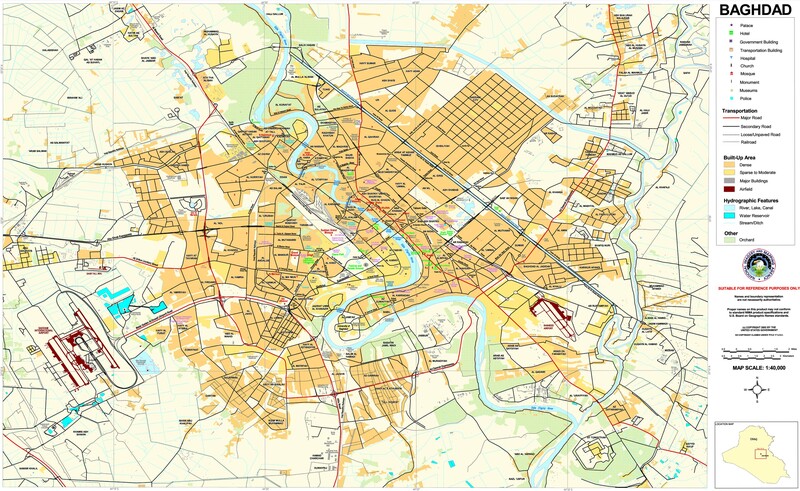 #1: For a second day in a row, rockets fired in Basrah landed in the vicinity of a central Basrah water reservoir. The latest attack occurred around 9 p.m., Feb. 23. The first rocket attack occurred in the early morning hours of Feb. 22. No injuries were reported in either attack. #1: Three citizens were killed on Thursday in Mosul including two Kurdish Shabaks. Two of them were shot dead in their store in central Mosul while the third was killed by gunmen in front of his house in Al Amel District. #2: “Unidentified gunmen killed a 60-year-old woman in al-Zuhour neighborhood, eastern Mosul, using a knife,” the source told Aswat al-Iraq news agency. #3: “Police found the body of a beheaded woman in al-Mashierfa region, western Mosul,” the source said. #4: A man whose throat was slit was found dead in Tal el-Rimman, western Mosul. There was no signs of the man having been shot,” the source told Aswat al-Iraq news agency. #5: Meanwhile, the same source added, unidentified gunmen opened fire at a man in al-Rifaie neighborhood, western Mosul, leaving him seriously wounded. #6: A car bomb wounded three soldiers and six civilians when it exploded, targeting an Iraqi army patrol, in southern Mosul, 390 km (240 miles) north of Baghdad, police said. #7: A bomb exploded in a dumpster in southern Mosul, killing two civlians and wounding 10 other people in another attack that targeted the Iraqi army, police said. #1: Head of the Iraqi powers alliance, Sheikh Mohammad Ali Salman, survived an attempt on his life on Friday in eastern Anbar, according to a police source. “Unknown gunmen opened fire on his vehicle on Friday (Feb. 26) near a checkpoint in eastern Anbar, without hurting him,” the source told Aswat al-Iraq news agency. #1: Taliban suicide bombers targeted guesthouses in the centre of Kabul on Friday, killing 16 people including Westerners in one of the deadliest attacks on the Afghan capital in a year. An Italian, a Frenchman and four Indians were among the dead, officials said. The assault took place near the Park Residence Hotel in the Shar-I-Naw commercial district. "There were three bombers. One in the car which exploded, the two others at the Park Residence," said Sayed Abdul Ghafar Sayedzada, Kabul city criminal police chief. They appear to have targeted the Park Residence and on the main road through Shar-I-Naw, and the smaller Aria guesthouse on a side street off the opposite side of the road. The interior ministry said one of the attackers detonated a car bomb in front of the Aria guesthouse, and two other would-be bombers were shot dead in the Park Residence. The Italian man staying at the Park Residence was shot dead by militants after being in direct telephone contact with Afghan police during the attack, Kabul police chief General Abdul Rahman told a news conference. Four other Italians were rescued by Afghan security forces, he said. Sporadic gunfire rattled through the area as ambulances raced to the scene and grey smoke billowed into the air. An Italian 'diplomatic counsellor' was among the victims of Friday's terrorist attack in the Afghan capital Kabul, Italy's Foreign Minister Franco Frattini said. The man was deployed with Italy's embassy in Afghanistan and resided at the hotel targeted in the dawn attack, Frattini said in a television interview. At least 22 people, including five suicide bombers, were killed in an attack in Afghan capital Kabul on Friday morning, local police said. Two explosions blew up nearby City Center, a nine-story shopping building in downtown Kabul about 6:40 local time Friday morning, police said. The first explosion proved to be a suicide car bombing at a guesthouse where most guests were Indian nationals, which resulted in the collapse of the whole building of the guesthouse. The other two bombers detonated the explosives tied on their bodies near the City Center. Two remaining terror suspects hid inside the building of City Center or neighboring residence, launched gunbattles with the police and later were killed in the exchange of fire. Three suicide bombers were killed in the attack, an Afghan intelligence official who declined to be named told Xinhua. The attack also claimed the lives of two Afghan policemen, said Sayed Abdul Ghafar Sayedzada, head of Crime Investigation Department of Kabul police. #2: A bomb planted in a motorcycle targeting Afghan Minister for Water and Power Mohammad Ismael Khan injured two civilians Friday in the country's western Herat province. Local police said that militants in the town of Torghondi bordering Turkmenistan detonated the bomb prematurely before the convoy of the minister reached the spot. The British MoD is reporting the death of a British Airman in a roadside bombing in an area north of Kandahar Airfield, Kandahar province, Afghanistan on Wednesday, February 24th. SKorea endorses sending troops back to Afghanistan: The National Assembly approved Thursday a government proposal to send 350 troops to protect South Korean civilian aid workers in the volatile country. The troops will be deployed in central Parwan province from this July to the end of 2012. Afghan wounded tell of more left behind in Marjah: Metraux said an accurate toll of civilians killed or wounded in military assault will not be known until health officials can move freely in the area. #1: Unknown gunmen on Wednesday attacked the headquarters of the Patriotic Union of Kurdistan (PUK) in Diala’s al-Saadiya district and injured two guards, according to a local security source. “The gunmen opened fire on the building, located in Diala’s al-Saadiya district (35 km south of Khanaqin), wounding two security guards,” the source told Aswat al-Iraq news agency. #1: Two Iraqi soldiers were injured when unknown gunmen threw a hand grenade at a checkpoint in Mosul City, a local security source said on Wednesday. “The incident occurred in al-Zohour area, eastern Mosul,” the source told Aswat al-Iraq news agency. #1: A powerful explosion jolted the city of Falluja on Thursday and left an unspecified number of casualties, a police source said. “A number of civilians were killed in the strong explosion that took place in eastern Falluja,” the source told Aswat al-Iraq news agency. #2: A vehicle crammed with explosives was seized on Thursday in east of Falluja city, Anbar police chief said. “Anbar police managed on Thursday (Feb. 25) to seize a vehicle laden with 1500kg of explosives from TNT to C4 on the high way, east of Falluja,” General Bahaa al-Karkhi told Aswat al-Iraq news agency. #1: U.S. Marines and Afghan troops slogged through bomb-laden fields Thursday to clear the last pockets of insurgents from the southern Taliban haven of Marjah. The Marines' progress was slowed by difficult terrain with no roads, few tracks and many hidden mines, but there was no gunfire by mid-morning. Several armored vehicles fell into irrigation canals while others were damaged by roadside bombs. The last couple days have been relatively calm, with limited engagement by insurgents, as troops secured areas they've already taken and moved into position to tackle these final insurgents holdouts.NATO said in a statement that while there are still occasional gunfights in town. #2: As the offensive closes in on its second week, 13 NATO troops have been killed and three Afghan soldiers, according to military officials. Eighty NATO troops have been wounded, along with eight Afghans.At least 28 civilians have been killed, including 13 children, according to the Afghan human rights commission. #3: Suspected militants Thursday blew up a tanker in northwest Pakistan carrying fuel for Nato troops across the border in Afghanistan. The driver escaped unhurt while his helper was wounded after a timed bomb planted on the tanker exploded outside Peshawar, police official Hazrat Ali told AFP, setting the vehicle ablaze. Bomb disposal official Tanvir Ahmed said that the timed bomb was attached to the tanker with a magnet. MNF-Iraq (OIF) is reporting the death of a U.S. Soldier in a vehicle related accident in an undisclosed location in Al Anbar Province on Tuesday, February 23rd. More Satellites Will Act as Eyes for Troops: But American units have found that satellite signals are weakened and even blocked outright by the breathtaking peaks and backbreaking valleys of Afghanistan — making it hard to pinpoint the troops’ location, navigate on patrol, identify friend from foe in battle or call in bombs and artillery when under attack. #1: One civilian was killed and three more were wounded in the explosion that occurred in central Baghdad on Tuesday, a police source said. “An explosive charge went off in front of a book shop in al-Mutanabi street, central Baghdad, killing a civilian and injuring three,” the source told Aswat al-Iraq news agency. #2: Iraqi Health Ministry denied on Wednesday that its institutions have received a number of unknown corpses over the past few hours. “Reports in this regard are absolutely untrue,” said a release issued by the Ministry and received by Aswat al-Iraq news agency. Yesterday, Iyad Allawi, head of the Al-Iraqiya electoral bloc, said in a press conference that 67 unknown dead bodies were found in Baghdad. #3: A senior judge was killed when a bomb went off near his house in the Doura district of southern Baghdad, police said. #1: Police forces defused on Wednesday an improvised explosive device in southern Amara, according to a senior police officer. #1: An Iraqi army forces foiled an attempt to detonate a bridge over the Tigris river in northern Wassit, a military source said. “A force from the 32nd brigade of the Iraqi army managed on Wednesday (Feb. 24) to foil an attempt to detonate al-Suwaiyra bridge, north of Kut, which links Kut with Baghdad,” the source told Aswat al-Iraq news agency. “The force seized a barrel with 220 liters of TNT and other high explosives materials placed under the bridge,” he explained. #1: Two persons have been wounded in an explosive charge blast in Kirkuk City, a local police source said on Tuesday. “At noon, an improvised explosive device (IED) exploded near the foodstuffs department in al-Wassity neighborhood, southwestern Kirkuk,” Col. Ghazi Ali told Aswat al-Iraq news agency.The incident left two persons, including a policeman, wounded, the colonel pointed out. #1: Unidentified gunmen killed three Christians from the same family in western Mosul on Tuesday, according to a security source. “Unknown armed men stormed the house of a Christian family in al-Seha neighborhood in western Mosul, killing the father and two of his sons, one of them is a priest,” the source told Aswat al-Iraq news agency. “The father is a very old man and the priest had been kidnapped two years ago,” he explained. #2: “Two policemen were gunned down by gunmen at a checkpoint in Tal a-Ruman region, western Mosul,” the source told Aswat al-Iraq news agency. #3: “A child was wounded in a hand grenade blast that targeted a police checkpoint in al-Jameaa al-Kabier region, central Mosul,” the same source said. #4: “A woman was killed on Tuesday evening by gunmen in Mosul al-Jadieda region in western Mosul,” the source told Aswat al-Iraq news agency. #5: “A policeman was killed in a sticky bomb explosion in al-Mansour neighborhood in southern Mosul,” he added. #1: The Afghan human rights commission reported Wednesday that 28 civilians have been killed so far in NATO's offensive on the Taliban stronghold of Marjah, and urged pro-government forces to take greater care in distinguishing between civilians and militants. The Afghanistan Independent Human Rights Commission said in a statement Wednesday that it had confirmed 28 civilians deaths in the Marjah fighting, based on witness reports. Thirteen children were among the dead. About 70 civilians have been wounded, 30 of them children, the commission said. NATO has confirmed at least 16 civilian deaths, while outside observers have reported 19. #2: Suspected U.S. missiles killed four people today in an al-Qaida and Taliban stronghold in northwest Pakistan, intelligence officials said, amid signs of greater cooperation between Islamabad and Washington. The three missiles hit a compound and a vehicle in Dargah Mandi area of North Waziristan tribal region. The identities of the dead were not immediately clear, said intelligence officials, who spoke on condition of anonymity because they were not authorized to speak to media. However, the area hit was a stronghold of the Haqqani network, an Afghan Taliban faction that is considered a major threat to U.S. troops across the border in Afghanistan. #3: Earlier today, the bodies of two men alleged by militants to be U.S. spies were discovered in Mir Ali, a town in North Waziristan. Each had a note attached accusing the victim of spying for the Americans and warning other informants they faced the same fate, area resident Akram Ullah said. Another witness, Sana Ullah, said one man was a local tribal elder and the other was Afghan. Taliban militants have beheaded three men including two Afghans in Pakistan's lawless northwest tribal belt, accusing them of spying for the United States, officials said Wednesday. The headless bodies were found dumped by the roadside in the Mir Ali area of the tribal North Waziristan district, which borders Afghanistan, local police officer Muneer Zaman said. “Their throats were cut last night and the bodies were dumped early Wednesday,” he told AFP from the region's main town Miramshah. A note placed near the bodies said the men were beheaded because “they were US spies - anybody found engaged in espionage will meet the same fate”. A security official confirmed the killings, saying the beheaded Afghans were refugees while the local man was an ordinary Pakistani tribesman. #3: Two men on a motorbike gunned down an Afghan provincial official as he walked to work Wednesday in the main southern city of Kandahar, police said. Taliban insurgents claimed responsibility for the assassination. Underscoring the threat militants pose, attackers shot and killed Abdul Majid Babai, the head of Kandahar's information and culture department, in the provincial capital then drove off, said Mohammad Shah Farooqi, the deputy provincial police chief. They have not been caught, he said. Taliban spokesman Qari Yousef told The Associated Press that the insurgents were responsible for the killing. #4: NATO and Afghan forces move into the 12th day of a major offensive to push militants out of a Taliban stronghold in neighboring Helmand province. The military alliance reported Wednesday that fighting was tapering off but bombs and gunmen continued to pose a threat. Clearing roadside bombs and precautions to prevent civilian casualties have slowed the largest joint military operation since the ouster of the Taliban regime in 2001, which planners see as key to taking on the insurgents in their southern heartland and turning around the war. Military officials have said the assault in Marjah is just the first push in a campaign that will move east into Kandahar province - the Taliban's birthplace and where the hardline Islamist group still controls large swaths of territory. #5: Four young brothers were killed Wednesday when Taliban militants fired a rocket into a residential area of Pakistan's northwest city of Peshawar, police said. The Romanian MND is reporting the death of a Romanian ISAF soldier in a roadside bombing about 20 km south-east of Qalat, Zabul province, Afghanistan on Tuesday, February 23rd. Four additional soldiers were wounded in the attack. #1: update Assailants burst into the home of an Iraqi campaign volunteer before dawn Monday, fatally shooting the man before they stabbed his pregnant wife and their five daughters to death, relatives and authorities said. A sixth child, the only son, was found hanging from a ceiling fan with key arteries severed, a cousin said. Over the last week and despite warnings that it was too dangerous, 47-year-old Hussein Majeed Marioush had been hanging campaign posters in the volatile mixed-sect district of Zafaraniya, a semi-rural area on the outskirts of southern Baghdad. He was a volunteer for Entifadh Qanbar, a secular candidate and longtime associate of the controversial politician Ahmad Chalabi. Both are running on the main Shiite Muslim ticket in parliamentary elections March 7. #2: One policeman was killed on Monday evening (Feb. 22) by an unknown sniper in central Baghdad,” the source, who requested anonymity, told Aswat al-Iraq news agency. “The policeman was killed while standing in al-Nasr square in al-Saadon street in central Baghdad,” the source explained, noting that security forces did not find the sniper despite searching the whole area. #3: “A bomb, stuck to a physician’s vehicle, exploded in al-Adhamiya neighborhood in northern Baghdad,” the same source said. “The explosion wounded Dr. Jassem Mohammad, who was taken to the nearby al-Nuaaman hospital for treatment,” he added. #4: Three mortar shells landed this morning on Baghdad’s fortified Green Zone, an Iraqi police source said. There has been no word on casualties or damage. #5: Two Katyusha rockets have been found in the Iraqi capital Baghdad, an official spokesperson for the Baghdad Operations Command (BOC) said on Tuesday. “The Katyusha rockets were set to be launched,” Maj. Gen. Qassem Ata told Aswat al-Iraq news agency.One of the rockets was found in al-Hurriya area, while the other was found in al-Baladiyyat area, the official pointed out. #1: The Basra International Airport came on Monday under Katyusha rockets attack, according to an eyewitness. “Four Katyusha rockets were fired toward the Basra International Airport on Monday evening (Feb. 22), with no immediate word on damage,” the source told Aswat al-Iraq news agency, noting that they landed far from the airport. The source said the rockets were targeting the U.S. base in the airport. #1: One gunman was killed and another one was wounded in a bomb blast in central Tikrit, a police source said on Monday. “One gunman was killed and another one was seriously wounded when an explosive charge they were planting inside a car went off in Jameel street in central Tikrit,” the source told Aswat al-Iraq news agency. #1: An investigations officer has been killed by unknown gunmen in southern Kirkuk City, a local police chief said on Monday. “This afternoon, unknown gunmen opened fire on Lt. Col. Kamran Ali Ihsan in front of his house in al-Asra Wal Mafqodeen neighborhood, southern Kirkuk, killing him on the spot,” Brig. Sarhad Qadir told Aswat al-Iraq news agency.The officer, who worked in the investigations department in al-Muqdad police station, was attacked while he was heading back home, the official pointed out. #2: Police forces on Monday found the body of an Iraqi contractor in southwest of Kirkuk, a senior police officer said. “Policemen found on Monday morning the body of, Mohammad Khalaf Ahmad, a contractor, born in 1974, near al-Rashad district, southwest of Kirkuk,” Brig. Sarhad Qader, the director of the Kirkuk Districts’ Police Department (KDPD), told Aswat al-Iraq news agency. “The body bore signs of gunshot wounds to the chest,” he added, noting the body was sent to the Azadi hospital’s morgue. #3: A police officer survived an attempt on his life on Monday when a bomb exploded in front of his house in western Kirkuk, a senior police officer said. “Captain Mohammad Attiya, officer at the internal affairs in Kirkuk, escaped an attempt on his life when an improvised explosive device went off in front of his house in al-Bajwan village in western Kirkuk,” Brig. Sarhad Qader, the director of the Kirkuk Districts’ Police Department (KDPD), told Aswat al-Iraq news agency. “The explosion caused material damage to the house and wounded one of his family’s members,” he added, without giving further details. #1: Two Iraqi policemen have been injured when an explosive device hit their patrol vehicle in Mosul City, a local security source said on Monday. “This afternoon, an improvised explosive device (IED) hit a police patrol vehicle in al-Majmoua al-Thaqafiya area, northern Mosul, wounding two policemen, including a lieutenant,” the source told Aswat al-Iraq news agency. #2: One Iraqi serviceman and a gunman were killed during clashes in eastern Mosul, a local security source said on Tuesday. “Last night, an Iraqi soldier was killed when gunmen opened fire on an army checkpoint in al-Naby Younus area, eastern Mosul,” the source told Aswat al-Iraq news agency.An exchange of gunfire has left one gunman dead, the source noted. #3: Two mortars have been fired at a village near Mosul City, but no casualties were reported, a local security source said on Tuesday. “This morning, unknown gunmen attacked Umm al-Shababeet village, Sinjar district (120 km northwest of Mosul City) with two mortar shells,” the source told Aswat al-Iraq news agency.No casualties were reported as the mortars landed on an uninhabited area, the source noted. #4: A roadside bomb wounded a civilian in central Mosul on Monday, police said. #5: Two policemen were wounded when a bomb they were trying to diffuse detonated on Monday in Tikrit, police said. #1: Seven civilians were killed and 14 injured Tuesday in the detonation of a bicycle loaded with explosives in southern Afghanistan, a local official said. The explosion took place in Kandahar bus station in Lashkargah, the capital of the southern province of Helmand, on Tuesday morning, Daoud Ahmadi, a spokesman for the provincial governor, said. "All the seven dead and 14 wounded people were civilians," he said. "We don't know what the target of the attack was, because there were no security forces or government officials in the area at the time of the blast." #2: A BRITISH woman has been killed in a suicide bombing in Pakistan — after reportedly converting to Islam just a month ago. The woman was among eight people who died in the huge blast in a bustling market in Pakistan's war-torn Swat Valley region yesterday. Dozens of others — including the woman's Pakistani husband — were injured in the attack in Mingora, the area's main city. It is believed the attack was aimed at Pakistan's security forces who were on patrol in the market. A military spokesman confirmed two soldiers were among the 37 people injured in the attack. #3: Two Taliban militants were killed and another one detained by Afghan National Army (ANA) soldiers during a massive NATO-Afghan operation in Taliban bastion Marja district of southern Helmand province, Defense Ministry said in a statement issued here on Tuesday. "Troops fighting militants in Marja district came in contact with the rebels yesterday, as a result two militants were killed and another one detained,"the statement said. #4: A bomb on a covered motorcycle exploded when a police convoy was passing by. Two people were killed and two were wounded in the attack, the statement said. It was unclear if the victims were police officers or civilians. #5: Clash between police and Taliban insurgents in Herat province west of Afghanistan left five militants dead and wounded four others, acting police chief of the province Dilawar Shah Dilawar said Tuesday. "Taliban rebels opened fire on a police patrol in Kushk-e-Khona district Monday night and the police returned fire killing five enemies,"Dilawar told Xinhua. Four more rebels and a police constable sustained injuries in the firefight lasted for a while, he added. MNF-Iraq is reporting the deaths of two U.S. Army helicopter pilots in a helicopter crash near an airfield on an undisclosed U.S. base in northern Iraq on Sunday, February 21st. NATO is reporting the deaths of two ISAF soldiers in an IED attack in an undisclosed location in southern Afghanistan on Sunday, February 21st. NATO is reporting the death of an ISAF soldier in an IED attack in an undisclosed location in southern Afghanistan on Saturday, February 20th. NATO is reporting the death of an ISAF soldier in an indirect fire attack attack while supporting Operation Moshtarak, Afghanistan on Sunday, February 21st. #1: Gunmen shot and killed eight members of the same family and cut the heads off some of them on Monday in a mainly Sunni Muslim district southeast of Baghdad, a senior security official said. "Unknown gunmen killed eight members of the same family with silencers, and cut the heads off some of the bodies," the office of Baghdad security spokesman Major General Qassim al-Moussawi said in a statement. The attack took place at about 7am local time (0400 GMT) in the al-Wahda neighborhood of the Madaen district outside Baghdad, the office said. No further details were given. #2: And in Baghdad, higher education ministry official and university professor Thamer Kamil was gunned down while he was in the east Baghdad Al-Canal area, a policeman said, speaking on condition of anonymity. #3: Five civilians were earlier wounded when several mortars hit Baghdad's heavily fortified Green Zone, which is home to several foreign embassies and government departments, an interior ministry official said. #4: A magnetic bomb stuck to a civilian car detonated in Salahuddin intersection in Ameriyah neighbourhood, west Baghdad at noon Sunday, killing the driver. #5: Two military personnel working in the Iraqi Defence Ministry were shot dead by gunmen in a speeding car in northern Baghdad, police said. #6: A police officer assigned to the Interior Ministry and a civilian employee of the ministry were wounded by unknown gunmen as they sat in a car in Baghdad, police said. #7: Two mortar rounds landed in or near a complex that used to house Saddam Hussein's central security directorate in eastern Baghdad, an Interior Ministry source said. Another source said the complex was now used as a U.S. base. No casualties were reported. #1: Sunday A bomb planted in a house where tribal leaders were gathering wounded three people in the town of Madaen, 30 km (20 miles) southeast of Baghdad, an Interior Ministry source said. #1: Four policemen were killed and two others wounded on Sunday when a homemade bomb engulfed their vehicle as they prepared to secure an electricity site in central Iraq, a security official said. 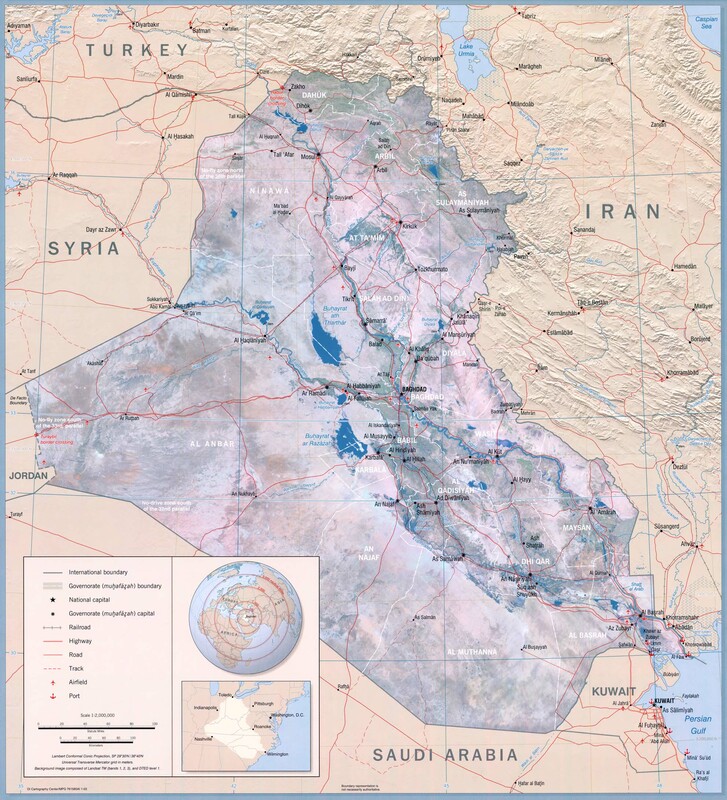 The blast occurred in Imam Wais, 70 kilometres (43 miles) from Baquba, the capital of Diyala province, which is one of Iraq's disputed areas and was a hotbed of Sunni insurgents in the wake of the 2003 US-led invasion. The casualties were members of Iraq's electricity police, whose job is to guard the war-torn country's power plants, said an official from Baquba's operational command headquarters. The officers were on a reconnaissance mission ahead of planned repair work by engineers at an electricity station that piped power from Iran to Baghdad before it was blown up by insurgents two years ago. #1: Sunday Gunmen opened fire on a minibus carrying Shi'ite Muslim pilgrims, killing one and wounding seven, in Taji, 20 km (12 miles) north of Baghdad, an Interior Ministry source said. #1: A Shiite pilgrim was killed and seven more wounded by gunfire as they were walking to Samarra, north of Baghdad for a religious ceremony. #1: And in Tikrit, further north, a suicide bomber killed a shopkeeper and wounded two of his clients, police said. #1: Sunday A roadside bomb wounded a civilian in Hawija, 210 km (130 miles) north of Baghdad, police said. #1: In the restive northern city of Mosul, meanwhile, two Iraqi soldiers were killed when their checkpoint came under fire from unidentified gunmen on Monday morning, police Captain Muwafaq Khadhim said. #2: In a separate incident two policemen were shot dead at around midday while manning a checkpoint near a popular market in central Mosul, Lieutenant Marwan Abdul Karim said. #3: In other violence on Sunday, a policeman was gunned down outside his house in the restive northern city of Mosul by unknown assailants, a security official told AFP. #1: Iraqi police say a car bomb targeting a police building has killed three people in the capital of Iraq's western Anbar province. Police officials say a suicide bomber exploded the car outside the Internal Affairs office in the provincial capital, Ramadi. The suicide car bomber struck an interior ministry detention centre in Ramadi, the capital of Anbar province, killing a man, his six-year-old son and a policeman, said a police officer and a doctor at the city's hospital. The attack occurred around 12:20 pm and left also four people wounded, including two policemen. #1: The Afghan government says a NATO airstrike has killed at least 33 civilians in southern Afghanistan. The Council of Ministers released a statement Monday condemning the incident as "unjustifiable." In a statement, NATO said its forces were targeting insurgents in Uruzgan province, and that an air strike accidentally killed and wounded civilians. It did not say how many. #2: At least two Afghan civilians, including one child, have been killed in a French missile strike in the northeastern of the war weary country. Local Afghan officials said that six civilians were also wounded in the attack that occurred in Dolat Khel in Kapisa province on Monday. Witnesses told Press TV the French missile hit a car that was carrying local traders. #3: Three people were killed and eight others were injured Monday in an explosion in northwest Pakistan's Swat, police said. The blast at Nishat chowk in Mingora, the main town of Swat, also damaged six shops and destroyed at least eight vehicles. A visitor to Mingora, Ejaz Ahmad Niazi, told Xinhua that he heard a big explosion which was followed by gunfires. A quiet day so far in terms of violence; but politically turbulent. Security forces find a weapons and explosives cache in al-Kharkh. Acting on a tip from locals, police find rockets. Iran says its forces ambushed and killed 4 Kurdish separatists. In announcing its boycott, al-Mutlaq's party, the National Dialogue Front, cited not only al-Mutlaq's disqualification, but also a volatile security situation, the arrest or harassment of candidates and the influence of Iran on the country's Shiite parties, a recurring suspicion among Sunnis. One of the party's candidates in Diyala province, Najim al-Harbi, was arrested at his home on Feb. 7, part of what Maliki's opponents have called a wave of intimidation against challengers. The party's statement yesterday also cited recent statements by the top U.S. military commander, Gen. Raymond Odierno, and the U.S. ambassador, Christopher R. Hill, that the leaders of the commission disqualifying candidates had close ties to Iran. "The National Dialogue Front cannot continue in a political process run by a foreign agenda," the statement said. Juan Cole discusses these developments. Because the elections this time are organized on a provincial basis, he presumes the predominantly Sunni provinces will send their representatives to Parliament, even with some parties boycotting. The goal of knocking the National Dialogue Front out, however, was to assure that Iraqiya would not have the most seats and hence the opportunity to try to form a government. He also cites Liz Sly of the LAT as saying that the two Shiite blocs have an agreement to come together to form a government after the election. Resistance continues in Marjah. Insurgents are putting up a "determined resistance" in various parts of Marjah, though the overall offensive is "on track," NATO said Sunday. NATO also reports two deaths of ISAF forces on Saturday, unrelated to the Marjah campaign, but provides no further information. Following the collapse of the Dutch government over the nation's involvement in Afghanistan, the Prime Minister announces that all Dutch troops will leave Afghanistan in August. BBC reports that "The governor of Uruzgan province said peace and reconstruction efforts would suffer a setback if the Dutch left. Asadullah Hamdam told the BBC they were playing a vital role building roads, training the Afghan police and providing security for civilians. "If they withdraw and leave these projects incomplete, then they will leave a big vacuum," he added." Speaking from Kabul, in a telephone interview with Asharq Al-Awsat, the source said that, even though Mullah Baradar belongs to the wing of Taliban Leader Mullah Omar and comes from the Pashtun (Bobalzi) Tribe in Urzajan, the same tribe of President Hamid Karzai, a disagreement happened between them in recent weeks because he encouraged negotiations and won over a number of field commanders in Helmand. The source asserted that a "Pakistani deception" led to the arrest of Mullah Baradar in Karachi after Islamabad found out that the US authorities seek to exclude Pakistan from the Afghan reconciliation process. The source added that they [the Pakistanis] wanted to prove to the Americans and Afghans their decisive role in the Taliban issue. The source noted that any commander who rebelled against the Pakistani intelligence in the past was arrested and handed over to the United States. Q: So why now then? Why his arrest right now, if he's one of the main interlocutors? A: I think there are many levels of problems here. The first thing is that I think the Pakistanis obviously have been under huge pressure to arrest active members of the Afghan Taliban who've been living in Pakistan for years and years. Now, the Pakistan's ISI, the Inter-Services Intelligence, could have arrested these people at any time. The question is, why did they choose to arrest them at this time? And I think one of the reasons is that the ISI wants to send a very firm message to the Taliban and to the Americans, also, that if there's going to be any talks or dialogue between Kabul and the Taliban, Pakistan will have to be the main broker or mediator. Q: So this is a shot across the bow then? A: In a way, it's a help across the bow, because you've arrested Taliban leaders, but certainly it's sending a very strong message by the ISI and the military in Pakistan to all of NATO and the Americans that, you know, don't go into talks without telling us because we are the key players here. Meanwhile, the CIA wants the Pakistanis to turn Baradar over to U.S. custody. Pakistan appears uninterested in the proposal. McChrystal's decision to maintain the outpost at Barg-e Matal prompted the top American commanders in eastern Afghanistan to delay plans to close a second remote U.S. outpost, Combat Outpost Keating, where insurgents killed eight Fort Carson soldiers in an assault Oct. 3, a McClatchy investigation has found. Another 22 Fort Carson soldiers were wounded in the Colorado base's bloodiest day since the Vietnam War. It is thanks to Mandela that South Africa passed an important turning point and managed to avoid a possible civil war, assassinations and violence, and succeed in establishing a stable regime based upon tolerance and coexistence between different races, colors, and creeds. On the other hand there is Iraq, which did not find a leader like Mandela, and so is drowning in a sea of sectarianism, racism, and violence, which take place under various names and banners. Although seven years have passed since the invasion, Iraq has been unable to break the cycle of violence, and the majority of its politicians have been unable to overcome the inclination towards revenge, retaliation, and violence [in Iraq]. As a result of this the Iraqis have not tasted stability, and anybody hearing their comments recognizes their lack of confidence in their situation and in the majority of their politicians. The DoD is reporting the death of an American sailor in an undisclosed incident in Kuwait on Wednesday, February 16th. Drones Play a Growing Role in Afghanistan: The Air Force now flies at least 20 Predator drones — twice as many as a year ago — over vast stretches of hostile Afghan territory each day. A (Soviet) Soldier’s Guide to Afghanistan: Advice for NATO troops in Helmand Province? No, these handy tips are part of a list of do’s and dont’s for Soviet soldiers fulfilling their international socialist duty to Afghanistan in the 1980s. Courtesy of the Russian Navy Blog, we have a marvelous translation of a 1987 handbook prepared for the “internationalist warriors” serving there. #1: Two insurgents were killed when a bomb they were planting exploded in central Tikrit, 150 km (95 miles) north of Baghdad, police said. #1: Police patrols in Kirkuk defused a cannon shell tied to a hand-grenade south of the province on Friday, according to a source from the Joint Coordination Center (JCC). “Police patrol found a 155 mm. cannon shell tied to a hand-grenade by means of wires near Shaqaq Leilaln, (8 km) south of Kirkuk, based on a tip-off by a local resident in the area,” the source told Aswat al-Iraq news agency. “Policemen and two civil defense and bomb squad experts dismantled the explosive after cordoning off the area without incident,” the source added. #1: Three policemen were killed and two injured Saturday when an explosive device went off near their patrol in northern Iraq, a local police source said. The blast took place in al-Tahrir area, eastern Mosul, which lies some 400 kilometres north of the Iraqi capital of Baghdad. #1: At least 30 militants were killed in an air strike by the Pakistani military. The air strike took place in South Waziristan district where the military in October launched an air and ground offensive to flush out Taliban militants. The "hideout in Shawal mountains was targeted after a tip off received that terrorists were hiding there," the military said in a statement. #2-3: In other violence, suicide bombers attacked two police stations in northwest Pakistan, killing a police station chief and wounding six other policemen, police officials said. #2: In the first attack, a gunfight broke out when two would-be suicide bombers stormed into a police station in Mansehra, police said. One of the attackers was shot dead and the other fled, station chief Waheed Khan told AFP. #3: In a separate attack in the neighbouring mountain town of Balakot, a suicide bomber killed police station chief Khalil Khan and wounded three policemen, local police official Sabir Ullah told AFP. #4: Two Afghan civilians were killed Saturday morning as their motorbike stepped over a roadside bomb, planted by Taliban militants in the southern restive Helmand province, the Interior Ministry said in a statement. "Two innocent Afghans were martyred this morning when their motorcycle struck a mine in Nahr-e-Saraj district," the statement said. #5: A civilian was killed in Nad-e Ali yesterday morning after an ISAF patrol believed he was carrying an IED toward them.According to initial reports, the patrol warned the individual by waving their hands, providing verbal warnings and firing small pen flares into the air. The man dropped the box, turned and ran away from the patrol, and then for an unknown reason turned and ran toward the patrol at which time they shot and killed him. #6: Two Taliban militants were killed as their bomb exploded prematurely in Herat province west of Afghanistan Saturday, a local official said. "Two Taliban terrorists were busy in mine planting on a road in Shindand district this morning but suddenly the device went off killing both on the spot,"district chief Lal Mohammad Omarzai told Xinhua. Similar incident killed five Taliban militants including their commander Mullah Sharafudin alias Shahabudin along with four of his bodyguards in Dasht-e-Archi district of northern Kunduz province Friday. #7: Taliban in the latest wave of violent attacks raided the house of a district chief in Afghanistan's northern Kunduz province Friday night and police repulsed the attack killing the attacker, deputy to provincial police chief Abdul Rahman Haqtash said Saturday. "A group of Taliban rebels under Mullah Khanak attacked the house of the chief of Archi district Shikh Sadi on Friday night but police returned fire killing Khanak on the spot," Haqtash told Xinhua. No casualty has been reported on police, he added. NATO is reporting the death of an ISAF soldier from a small arms fire attack in an undisclosed area of southern Afghanistan related to Operation Moshtarak on Thursday, February 18th. NATO is reporting the death of another ISAF soldier from a small arms fire attack in an undisclosed area of southern Afghanistan related to Operation Moshtarak on Friday, February 19th. NATO is reporting the deaths of two ISAF soldier from an IED attack in an undisclosed area of southern Afghanistan related to Operation Moshtarak on Thursday, February 18th. NATO is reporting the death of another ISAF soldier from a IED attack in an undisclosed area of southern Afghanistan related to Operation Moshtarak on Thursday, February 18th. NATO is reporting the death of another ISAF soldier from a small arms fire attack in an undisclosed area of southern Afghanistan related to Operation Moshtarak on Thursday, February 18th. #1: Seven Katyusha rockets have been fired at the Delta base in Kut City, but no casualties have been reported thus far, a local security source said on Friday. “Late Thursday (Feb. 18), unknown gunmen fired seven Katyusha rockets at the MNF-run military Delta base (7 km west of Kut),” the source told Aswat al-Iraq news agency. “Police patrol vehicles have headed to al-Shuhadaa area, the site where the rockets were launched from, in search of the attackers,” the source noted. #1: One civilian was wounded on Friday in an improvised explosive device blast in southwest of Kirkuk, according to a security official. “An explosive charge went off on Friday morning (Feb. 19) near a motorcycle in al-Hadiya village in al-Riyadh district, southwest of Kirkuk, injuring the driver and damaging the motorcycle,” Brig. Sarhad Qader, the director of the Kirkuk Districts’ Police Department (KDPD), told Aswat al-Iraq news agency. #1: Twenty-three people, including policemen, were wounded when a car bomb went off near a federal police headquarters in western Mosul city on Thursday, a local police source said. “Fifteen among the wounded persons were Iraqi policemen, including four officers,” the source told Aswat al-Iraq news agency. “Some of the wounded policemen and civilians are in a critical condition,” he added. 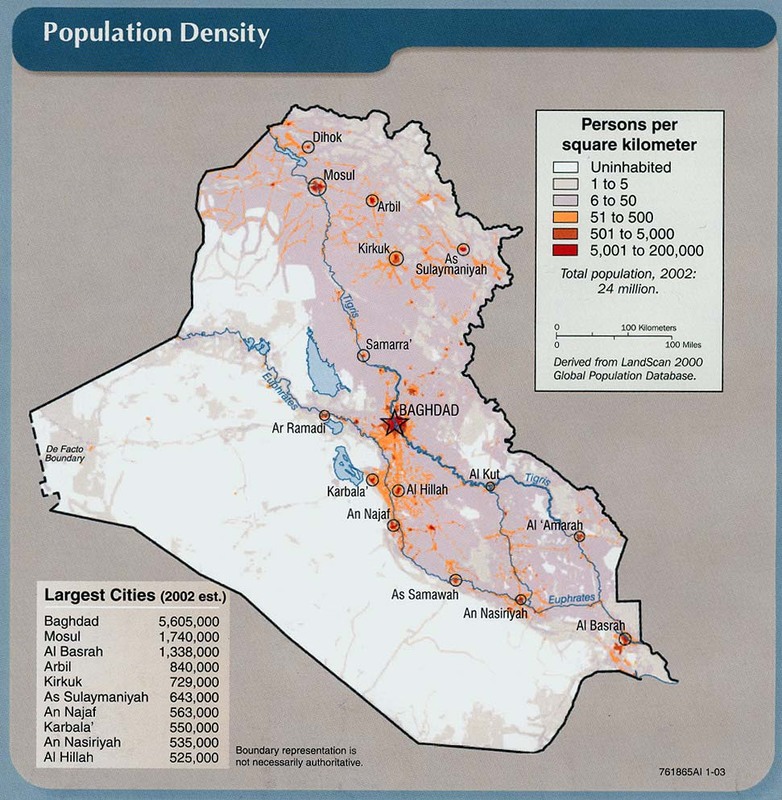 #2: Gunmen killed a man in west Mosul, 390 km (240 miles) north of Baghdad on Thursday night, police said. #1: A policeman was killed on Friday by armed men while heading to his office in west of Mosul, a security source said. “The cop was killed by gunmen in al-Salam neighborhood in Talafar, west of Mosul,” the source told Aswat al-Iraq news agency. “The gunmen opened fire on the policemen while heading for his work from his house,” he added. #1: One civilian was wounded on Thursday in a house explosion in southern Falluja, a police source said. “Unknown gunmen blew up a house in Ahsi region in central Amiriyat al-Falluja district, southern Falluja, injuring a passing civilian,” the source told Aswat al-Iraq news agency. “The blast caused severe material damage to a number of nearby houses,” the source added. #1:" MARJAH, Afghanistan Elite Marine recon teams were dropped behind Taliban lines by helicopter Friday as the U.S.-led force stepped up operations to break resistance in the besieged insurgent stronghold of Marjah. About two dozen Marines were inserted before dawn into an area where skilled Taliban marksmen are known to operate, an officer said, speaking on condition of anonymity because of security concerns. #2: Other squads of Marines and Afghans, marching south in a bid to link up with Marine outposts there and expand their territory, came under sniper fire and rocket attacks by midday. The rattle of machine-gun fire and the thud of mortars echoed nearby. #3: Throughout Thursday, U.S. Marines pummeled insurgents with mortars, sniper fire and missiles as gunbattles intensified. Taliban fighters fired back with rocket-propelled grenades and rifles, some of the fire far more accurate than Marines have faced in other Afghan battles. The increasingly accurate sniper fire -- and strong intelligence on possible suicide bomb threats -- indicated that insurgents from outside Marjah are still operating within the town, Nicholson said. #4: A grenade attack Thursday evening wounded 21 civilians with one of them in critical conditions in Afghanistan's southwestern Nimroz province, police said, Xinhua informs. "A grenade was hurled by unknown men toward a vehicle driven by a government employee in Zaranj city, capital of Nimroz province," provincial police chief Abdul Jabar Watandar told Xinhua. "As result, 21 civilians were wounded. "One of the injured was in critical conditions following the attack, which took place in a crowded area, he added. NATO is reporting the death of an ISAF soldier from a small arms fire attack in an undisclosed area of southern Afghanistan related to Operation Moshtarak on Wednesday, February 18th. NATO is reporting the death of an ISAF soldier from a small arms fire attack in an undisclosed area of southern Afghanistan related to Operation Moshtarak on Thursday, February 19th. U.S. troops in Iraq drop to lowest level since 2003: We have approximately 98,000 service members here at this time, " a military spokesman said. #1: Unknown gunmen on Wednesday kidnapped a civil servant in the south of Kirkuk city. “The victim works at the Technical College in Kirkuk,” a local security source told Aswat al-Iraq news agency. #1: Two civilians were wounded by a sticky bomb in south of Mosul, a source from the Ninewa operations command said on Thursday. “A bomb, stuck to the vehicle of former police Colonel, Zuheir al-Din Attiya, went off on Wednesday evening (Feb. 17) in al-Qayara district, south of Mosul, injuring him along with his companion Jassem Daham, a chieftain of the al-Jubur tribes,” the source told Aswat al-Iraq news agency. #1: A suicide car bomb exploded Thursday outside the gate the main government compound in the capital of Iraq's Anbar province, killing at least 12 people, including four police, a security official said. The attacker blew up his explosive-packed car outside the gate of a compound housing the governor's office, police headquarters and courts, the security official said. The blast also wounded at least 20 people, he added, speaking on condition of anonymity because he was not authorized to release the information. #1: A government official says the death toll in a bomb blast in northwest Pakistan's tribal belt has reached 29. Jawed Khan says the attack occurred at a mosque in the Aka Khel area of Khyber tribal region. More than 50 people were wounded. Earlier reports said the Thursday explosion occurred in the Orakzai area at a cattle market. The two areas border one another, and the market is apparently near the mosque. A suicide bombing near a mosque in Pakistan’s northwestern Khyber region killed at least eight people, including a militant commander, and wounded 50 others. #2: U.S. Marines pummeled insurgents with mortars, sniper fire and missiles as fighting intensified Thursday in two areas of the Taliban southern stronghold of Marjah, where U.S. and Afghan forces are facing stubborn resistance in an operation now in its sixth day. Marines traded machine-gun fire after coming under attack by insurgents with rocket-propelled grenades. One Marine company attacked Taliban positions surrounding them at dawn. Marines and Afghan troops continued to battle "stiff resistance" in different parts of town, a Marine spokesman said Thursday. #3: Five NATO service members and one Afghan soldier have been killed since the attack on Marjah, the hub of the Taliban's southern logistics and drug-smuggling network, began Saturday. About 40 insurgents have been killed, Helmand Gov. Gulab Mangal said. NATO had previously reported six deaths, but said Thursday that one death had mistakenly been reported twice. #4: But in a sign of the difficulty that NATO faces in trying to reverse the rise of militants, eight members of the Afghan National Police on Wednesday night defected to the Taliban, a police official said Thursday. Eight policemen in Wardak province's Chak district abandoned their posts and joined with Taliban militants in the area late Wednesday, said Mirza Khan, deputy provincial police chief. Khan said one of the policemen had previous ties with the Taliban. The incident is under investigation. About 25 police officers left their posts in the remote Chalk District of Wardak just before midnight Wednesday, and on Thursday morning a Taliban spokesman claimed they had surrendered to them. “They left with all their weapons, two trucks and machine guns and heavy weapons,” said Maj. Abdul Khalil, the police chief in Jalrez District, about 25 miles from Chalk. He said there had been some sort of pay dispute. “We don’t know if they have gone over to the Taliban, or they just ran away or what has happened,” Major Khalil said. At about the same time Maj. Khalil was speaking, a Taliban spokesman, Zabiullah Mujahid, said in a telephone interview that 24 policemen in Chalk surrendered to the Taliban along with their weapons and two trucks. “They are safe now and will not be harmed and will be treated well under our code of conduct,” Mr. Mujahid said. #5: Afghan troops, during operation against Taliban militants in northern Kunduz province, eliminated their commander and detained three militants, a local newspaper reported Thursday. "A Taliban commander called Mullah Zabihullah was killed and three of his armed were arrested," Daily Afghanistan reported. Quoting the provincial governor Mohammad Omar, the newspaper added that security forces raided Taliban hideout in Chardara district Wednesday night as a result Mullah Zabihullah was killed and three of his men were caught. #6: A Nato supply tanker was partly damaged and its driver received minor injuries when a roadside bomb went off in the Baghbana area of Khuzdar district on Thursday. According to police, the vehicle containing goods for allied forces in Afghanistan was headed towards Chaman from Karachi on the RCD highway when the incident took place. #7: In five days of fighting, the Taliban have shown a side not often seen in nearly a decade of American military action in Afghanistan: the use of snipers, both working alone and integrated into guerrilla-style ambushes. Five Marines and two Afghan soldiers have been struck here in recent days by bullets fired at long range. That includes one Marine fatally shot and two others wounded in the opening hour of a four-hour clash on Wednesday, when a platoon with Company K of the Third Battalion, Sixth Marines, was ambushed while moving on foot across a barren expanse of flat ground between the clusters of low-slung mud buildings. #8: Meanwhile, a bomb blast at a cattle market killed at least 26 people and wounded dozens of others in Pakistan's Orakzai tribal region where many Taliban militants are believed to hide, officials said. #9: More than 40 Taliban insurgents have been killed during a massive operation in Marja district of southern Afghanistan's Helmand province, a local official said Wednesday. #10: A Danish soldier was Wednesday morning, Danish time injured as a result of an explosion from an improvised explosive device. It happened south of the advance base Budwan - formerly known as Armadillo. The soldier is from Ingeniørdetachementet in Skive, and was with Charlie Company on a dismounted patrol CIMIC. #1: “They forces managed to defuse three Katyusha rockets in Khour al-Zubair region in western Basra,” the source added. #1: U.S. forces released on Tuesday an ambulance driver after he was arrested in the north of Amara, according to Amara mayor. “U.S. troops which raided al-Duwaiyjat village in Ali al-Sharqi district, north of Amara, released Abdulreda Saleh Jameel, an ambulance’s driver, after arresting them while transporting one of the wounded during a security operation, during which 10 were killed, 5 were wounded and 22 detained,” Rafia Abduljabar told Aswat al-Iraq news agency. “They released him after repeated requests from the Missan council and the Missan health department,” he added. #1: Police forces found on Wednesday the bodies of two women in a grave in eastern Arbil, while they found a corpse of a man in the northern section of the city, a police source said. “Policemen found the bodies of two women in Sheikh Ahmad grave in eastern Arbil,” the source told Aswat al-Iraq news agency. “The two bodies bores signs of gunshot wounds,” he added. “Police found also a body of an Arab nationality man. His age ranges between 30 to 40, in a grave in northern Arbil,” he added. #1: A member of the Asayesh (Kurdish for security) forces has been killed by unknown gunmen in south of Kirkuk City, a local security source said on Wednesday. “On Wednesday morning (Feb. 17), unidentified armed men opened fire on a commissioner of Asayesh forces in front of his house in downtown Touz Khormato district (80 km south of Kirkuk),” the source told Aswat al-Iraq news agency. #1: An officer of the Kirkuk emergency department was wounded on Tuesday by gunmen in central Kirkuk, according to a senior police officer. “Major Senan Najat Mohammad was seriously wounded on Tuesday evening (Feb. 16) when unknown gunmen tried to kill him,” Colonel Ghazi Ali told Aswat al-Iraq news agency. “The gunmen shot the officer using a gun with silencer in Turuq Baghdad region in central Kirkuk,” he added. #2: Unknown gunmen kidnapped a journalist working for al-Ahd radio station in central Kirkuk, according to the Journalistic Freedoms Observatory (JFO). “Four unknown gunmen kidnapped on Wednesday morning (Feb. 17) the correspondent of al-Ahd radio, Houssam Dawood al-Aqabi, from al-Nasr neighborhood in central Kirkuk and took him to unknown place,” the JFO said in a statement received by Aswat al-Iraq news agency. #2: while the other (policeman) was shot in Tel al- Ruman area in western Mosul," said the source. #3: A Christian student was found dead in the main northern Iraqi city of Mosul on Wednesday, the fourth in as many days, amid warnings of rising violence against the minority ahead of March 7 polls. The bullet-riddled body of Wissam George, a 20-year-old Assyrian Christian, was recovered on a street in the south Mosul residential neighbourhood of Wadi al-Ain at around 1:00 pm (1000 GMT). #3: A child was wounded on Tuesday in a bomb explosion that targeted a police vehicle patrol in western Mosul, a police source said. “A hand grenade went off on Tuesday evening (Feb. 16) targeting a police vehicle patrol in Mosul al-Jadieda region in western Mosul, injuring a passing 9-year-old child,” the source told Aswat al-Iraq news agency. #4: Five people were wounded in an improvised explosive device blast in western Mosul, a security source said on Wednesday. “An improvised explosive device went off on Wednesday afternoon (Feb. 17) targeting an Iraqi army vehicle patrol in al-Yarmouk neighborhood, western Mosul, injuring five persons, including a soldier,” the source told Aswat al-Iraq news agency. #1: NATO forces say an air strike in eastern Afghanistan has killed more than a dozen insurgents near the Pakistani border. The military coalition said today that a Nato patrol saw a group of individuals yesterday and identified them as insurgents. The soldiers called in air support and precision-guided munitions were dropped on the location. #2: A US drone strike killed at least four Islamist insurgents Wednesday at a compound close to the Afghan border in Pakistan's militant-infested tribal belt, security officials said. The attack was the third since Sunday in North Waziristan district, a stronghold of the Taliban, Al-Qaeda and Haqqani network known for staging attacks across the border on US and NATO troops fighting the Taliban. Pakistani officials and residents said the aircraft fired two missiles into a militant compound in Tabi Tolkhel village, just five kilometres (three miles) from the border with the Afghan province of Khost. "According to initial reports four militants were killed and two wounded," a security official said, requesting anonymity. #3: U.S. and Afghan troops moved into two key parts of Marjah on Tuesday in an effort to restart government services and confront Taliban holdouts, who continued to shoot at coalition forces. It was the fourth day of fighting in Marjah, the opium-smuggling and logistical base for Taliban insurgents in southern Helmand province. Facing little resistance, troops secured the central police station and the area where they hope to build a municipal building, moving west by foot on a mined road to achieve a key objective of U.S. commanders. To the north, in the Koru Chreh bazaar area, where troops had been subjected to repeated small-arms fire and grenade attacks since they arrived Saturday, several hundred U.S. Marines conducted a daylong operation to target insurgent gunmen and sweep for makeshift bombs. The most intense fighting of the day occurred to the south of the municipal center, where the battalion's Alpha Company was engaged in an almost daylong exchange of gunfire with insurgents. #4: Some 280 anti- government militants have been killed and 180 others injured over the past year in northern Afghanistan's Kunduz province, provincial governor Mohammad Omar said Wednesday. "During anti-insurgency drive over the past year in Kunduz province by the security forces, 280 rebels have been killed, 180 injured and 20 captured," Omar told a press conference. There were 12 foreign fighters among those killed during the operations, including militants from Chechen and Uzbekistan, he said. Thirty-three Afghan policemen and four Afghan soldiers have also been killed over the same period, the governor added. Open Discussion Post for Saturday, February 6th.